This is a brand new turbocharger assembly built by the OEM manufacturer of the 2003 Ford 6.0L Powerstroke (Garrett). This direct-fit replacement turbo is NEW and there is NO CORE CHARGE. 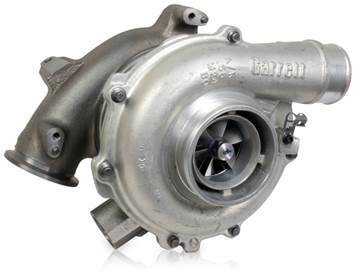 This is a brand new turbocharger assembly built by the OEM manufacturer of the 2004 - 2005 Ford 6.0L Powerstroke (Garrett). This direct-fit replacement turbo is NEW and there is NO CORE CHARGE. 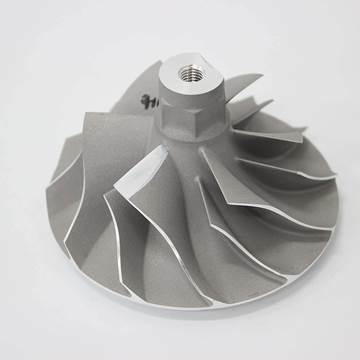 This is a brand new turbocharger assembly built by the OEM manufacturer of the 2006 - 2007 Ford 6.0L Powerstroke (Garrett). This direct-fit replacement turbo is NEW and there is NO CORE CHARGE. Gain the ability to safely increase your engine's intake air volume to support approx. 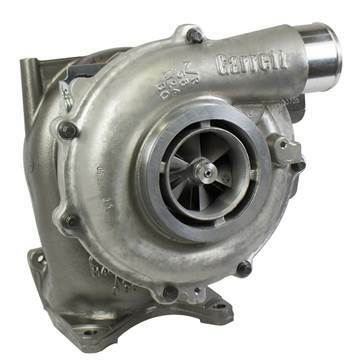 500HP (Stage 1) to your engine with this brand new performance GT4094VA turbocharger assembly built by Garrett Turbochargers for your 2004.5-2010 GMC/Chevy Duramax trucks with the LLY, LBZ, LMM motors. This is a BRAND NEW unit and there is NO CORE CHARGE. 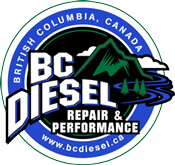 Gain the ability to safely increase your engine's intake air volume to support approx. 575HP (Stage 2) to your engine with this brand new performance GT4094VA turbocharger assembly built by Garrett Turbochargers for your 2004.5-2010 GMC/Chevy Duramax trucks with the LLY, LBZ, LMM motors. This is a BRAND NEW unit and there is NO CORE CHARGE. Gain the ability to safely increase your intake air volume to add up to an extra 175HP to your engine with this brand new performance turbocharger assembly built by the same OEM manufacturer of the 2003 - 2004 Ford 6.0L Powerstroke (Garrett). This is a BRAND NEW unit and there is NO CORE CHARGE. 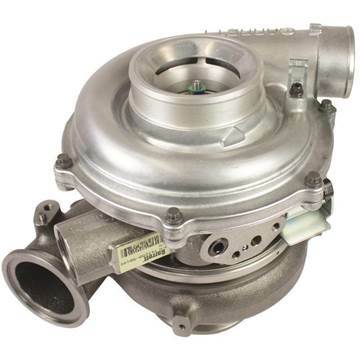 Gain the ability to safely increase your intake air volume to add up to an extra 175HP to your engine with this brand new performance turbocharger assembly built by the same OEM manufacturer of the 2004 - 2007 Ford 6.0L Powerstroke (Garrett). This is a BRAND NEW unit and there is NO CORE CHARGE. 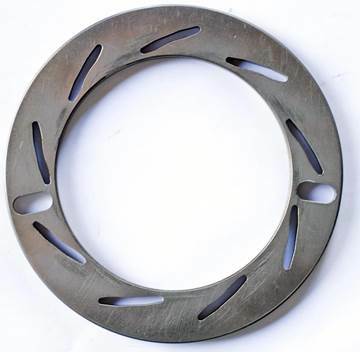 Replace the extremely problematic unison ring that causes the bulk of many failures of the turbochargers in the 2003 - 2007 Ford 6.0L Powerstroke trucks, usually simply just due to wear. Avoid replacing the entire turbo with a simple service cleaning and replacement of this unison ring.